MiniTool Power Data Recovery is powerful and professional data recovery software that will help you recover the lost data caused by any factor. It not only helps you recover deleted files but also recovers data from damaged, reformatted hard drive, as well. Furthermore, MiniTool Power Data Recovery not only recovers data from hard disk and RAID device, but also supports to recover data from CD, DVD disks, memory card, memory stick, and flash drive. As a data recovery software suite, MiniTool Power Data Recovery includes five data recovery modules – Undelete Recovery, Damaged Partition Recovery, Lost Partition Recovery, Digital Media Recovery, and CD/DVD Recovery. Each data recovery module focuses on different data loss conditions. 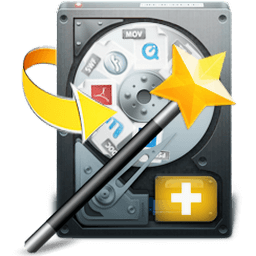 With this most effective file recovery tool, you do not need to have the technical background to use it. All the data recovery steps are logical and easy like 1-2-3. Just follow the data recovery step, and you will get your lost data back. MiniTool Power Data Recovery is a risk-free and all in one data recovery software that helps you in recovering your all-important data lost after accidental format, virus problems, software malfunction, file/directory deletion, or even sabotage! It is easy to use data recovery software that examines your inaccessible hard drives, CD/DVD disk, memory card, memory stick, and other digital media for damages and corruptions and recovers the data. MiniTool also provides the Power Data Recovery Boot Disk for you. With MiniTool Data Recovery Boot Disk, you could recover data after system crash, hard drive crash and booting problems without Operating System. Added Show Lost Files feature. Supported OS: Windows XP, Vista, Windows 7, 8, 10 (32-bit, 64-bit). Supported File System: FAT12, FAT16, FAT32, VFAT, NTFS, NTFS5 and ISO9660, Joliet, UDF File system.